Hello and greetings from London, Ontario Canada. London Language Institute (LLI)is pleased to be under contract with TVO and the Independent Learning Centre which is one of Ontario’s largest school Boards and responsible for Distance Learning through The Ministry of Education in Ontario. This is a Public Program (not Private). We are proud to be working with partner schools around the world and providing the highest quality programming for schools hoping to offer an Ontario Secondary High School Diploma (OSSD). LLI has partners througout the world and operating teams that are able to assist and provide daily support to our partner schools as they offer this unique program using the FILM model of teaching. As a preferred partner of TVO\ILC and under Academic Bond, London Language Institute continues to grow our partnerships around the world and I invite any interested schools to contact me directly. The FILM model is not an online program similar to other basic online deliveries. The Facilitated Independent Learning Model takes the best teaching applications from online and classroom and combines these two teaching strategies. All lessons are performed in a classroom environment with a Facilitator in class. 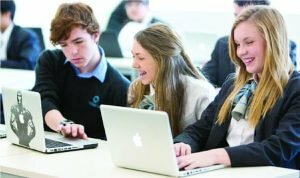 This program is unique in that an Ontario High School Certified teacher is available to answer questions to student and Facilitators at any time and all assignments and examinations are marked in Ontario. This ensures that scoring is standardized and post secondary schools in Canad and around the world are very confident in the grading and quality of the Education. 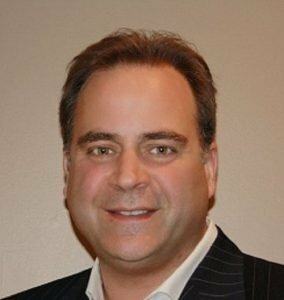 I am available to set up a demonstration and or have our operating partners in various countries around the world arrange for an in person meeting. Please contact me at Justin@llinstitute.com with any questions you may have. Education is changing and LLI’s TVO\ILC high school program is a fantastic option for schools around the world. London Language Institute is a licensed Affiliate of TVO and ILC under academic bond. LLI has the authority to offer TVO\ILC High School Programming around the world with approved school partners. At present LLI is running program in China and Colombia with other countries and partners under contract. London Language Institute is thrilled to formalize a relationship with TVO’s Independent Learning Centre (ILC), to provide our international students access to the highly acclaimed Ontario education. Canada’s high school education is ranked among the best in the world, and ILC’s Ontario secondary school courses are developed by The Ontario Ministry of Education and delivered by Canadian certified faculty. The ILC is Ontario’s largest public high school, with more than 20,000 students taking distance-learning courses towards their diploma or as pre-requisites for post-secondary programming. LLI’s TVO\ILC High School program is offered at our main campus in London, Ontario Canada. Students utilize the FILM model of learning in a classroom setting. This program combines the best of online leaning with the benefit of a controlled classroom environment. Students can complete all their studies and attain an Ontario Secondary Schools High School Diploma including literacy testing and volunteer hours at our approved overseas school partners. 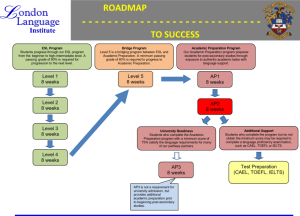 This program is recognized by universities in Canada and around the world as it is not delivered as an online platform. The Facilitated Interdependent Learning Model (FILM) assures the quality and integrity of the program and that students are monitored for all class work submission and examinations. 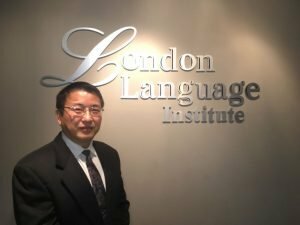 This program was first offered in 2016 through London Language Institute and student results have been incredible. LLI’s 2016 academic year ended with overall scores in the low 80’s! Results worldwide have been outstanding and full Grade 10, 11 and 12 programs began in China in 2017 and continue today. Expansion into Mexico, Brazil and Colombia is underway. 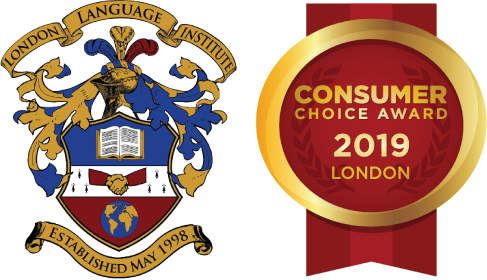 London Language Institute is proud to be a global institution with schools around the world utilizing our ESL and academic preparation program for language proficiency. Partner schools are also utilizing LLI’s TVO\ILC High School program with the goal of attaining an Ontario Secondary School High School Diploma (OSSD). This web link is for active students, parents, facilitators and LLI ESL international teachers. LLI has contracts with many universities and colleges across Canada and will assist student with all their post secondary goals and applications. Li has more than 20 years of experience working with International students. Our leading ESL and Academic Preparation program prepare students for entrance and success at College and University. LLI has sent more than 8500 student to post secondary programs and with he growth of our TVO\ILC program we anticipate this number to rise dramatically. LLI can attain conditional offers of acceptance for academically qualified students based on completion of our Academic Preparation Program. A combination of LLI’s ESL and LLI’s TVO\ILC High School is a perfect blend leading towards student success. LLI’s ESL curriculum is being offered at schools in China and Colombia at present with expansion happening in Korea, Brazil, Mexico and Taiwan. This program has 7 level and each level is 184 teaching hours in duration. Schools are taking LLI’s ESL program in preparation for entrance into LLI’s TVO\ILC High School program and in preparation for university entrance using LLI’s pathway. LLi’s curriculum utilizes the most modern teaching techniques in a topic based learning environment. This program is standardized whereby every student will receive the same information by teachers who have a minimum TESL Canada level One Certification. This curriculum has been developed over the past 20 years using Pearson and Oxford text books with specific and identifiable student learning outcomes. Student progress is tracked using our online platform. Teachers in Canad are monitoring student progress, assignments, quizzes and exams to ensure the scoring and student levels are accurate. Student also have real time access to their course progress and can share results with parents with a click of a button. Students are placed in a level based on LLI’s placement test. Each partner school has access to this and results are sent directly to our partner schools so students can be placed in an appropriate level. LLI is pleased to have SUCEED Wuxi campus offering LLI’s ESL curriculum and LLI’s TVO\ILC High School program to students from grade 9 to grade 12. SUCEED acts as LLI’s operating partner in China and provides daily support, Facilitator training and day to day contact with our partners in China. Programs commenced in September 2017 and have grown and continue into our current academic year 2018. SUCEED has several campuses in China and will be expanding program offerings around China throughout 2018. We wish all the students the best of luck with their programming. 1. Flexible programming designed to support English as a Second Language Students. This is a PUBLIC program. 1) FILM Model allows students to study at their own speed, students will also receive continuous support from on campus (facilitators) and online teachers. 2. Continuous intake at our main campus in London, Ontario Canada. Overseas campuses have varying start dates. 1) Overseas students can start the course 5 times an academic year. January, March, July, September, and November. Students can take two credits every 8-weeks. 2) Students can take 2, 4, 6 or 8 credits in an academic year. If a specific campus has special requirement, the campus can submit an application to LLI-TVO/ILC for approval. 3. LLI can have credit transfers assessed through ILC so that students can have a complete transcript. 4. Standardized marking is ensured as all assessments are performed by ILC teachers with final examinations administered under strict protocols ensuring that student results are standardized and easily recognized and accepted by colleges and universities once students are seeking post secondary entrance. 1） All assignments and test will be marked by Ministry Certified teachers, which ensures the standardization of the grading and recognition from universities all over the world. 5. Cost effective. Students can take up to 8 credits per academic year and only pay for what they need. Students and partner schools pay per credit offered. 6. Students English language proficiency will be assessed by London language Institute. No need for TOEFL, CAEL or IELTS testing for admission into this program. London Language Institute proficiency examination is approved by TVO\ILC. 7. Students will be provided language support prior to beginning programs to ensure they are starting programs with the English proficiency necessary for success in all subject areas in their high school courses. 1) LLI also leases our ESL curriculum to partner schools to prepare their students to meet their English proficiency. 8. The Ontario Secondary Diploma is a globally recognized Diploma that can be used to apply to post secondary schools around the world. 1) Students are able to finish a full OSSD from overseas. This includes literacy testing and volunteer hours which are necessary for the completion of an OSSD. Students have an opportunity to have full time support while learning in a classroom environment. Lessons are presented to each student through TVO\ILC’s world class teaching platforms. Students can learn at their own pace and are ensure that they are engaged in all lessons. The goal of Education is not to just complete an OSSD and gain entrance into college or university. 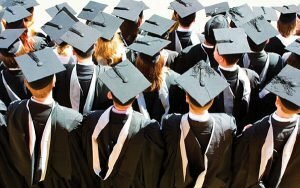 It is to have success at college and university. The OSSD is one of the most highly recognized High School Diplomas in the world. LLI’s graduates have had incredible success over the past 20 years and the addition of LLI’s TVO\ILC High School program provides student with additional opportunities and Educational support. TVO and ILC work directly with The Ministry of Education and as a result any curriculum and program changes are dealt with quickly and efficiently. Partner schools do not have any costs associated with curriculum and program changes. Our partners are always current and offering the highest quality programming. LLI is pleased to have a long term business partnership with Colegio Ingles in Puebla Mexico. Students have been coming to LLI for the past 15 plus years and LLI programming has benefited students for many years. LLI is pleased to be working with Liceo San Bernnado located in Bogota Colombia. LSB has more than 40 years of experience and is now focusing on offering English programs to students seeking university entrance and attaining the bilingualism with Spanish and English that is mandated by the Colombian government. LSB is under academic bond with London Language Institute and has qualified teachers and a great teaching environment. We wish all the students the best of luck using LLI’s programming and welcome any questions that parents or students may have.